Yesterday Emma went & had another weight check & she is finally over the 10 lb mark. She came in at 10 lbs 4 oz, which is only a 4 oz gain in 9 days. We are all very glad she gained but it still isn't as much as she should have gained. 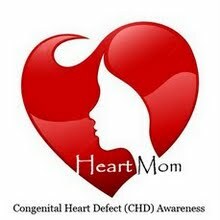 Her pediatrician is really eager to hear what her heart cathe will reveal next week & if it comes back with no major abnormalities she plans on running additional tests to try to find the cause of her lack of gaining weight or even changing her formula again. Just read Kristi's post...you guys will be in my prayers. My name is Kim Kirby, and Kristi Busby and I grew up in the same church in GA. I saw her blog entry about you and little Emma Grace, and I wanted to let you know that I am praying for all of you. Also, I live in Summerville, SC, and we have a wonderful church family here. I heard you were at MUSC recently, and Kristi told me you were coming back in a couple of weeks. Please, PLEASE let us know if you need anything...a place to stay, meals, anything. If nothing else, please let me know when you'll be back in town so that we can drop by MUSC and bring y'all a little something:). My email address is kimberly_ann_kirby@yahoo.com.